Breaking Bad brought to television the psyche of a man who turned his cancer diagnoses into a rebirth. The transformation happened slowly, but by the series end, he was a new man. It wasn’t until the third season, when his cancer went into remission, that Walter was forced to reassess his mission. The underworld was meant to be a final destination, meth was the ticket to his family&apos;s wealth once he left this world, but he was alive, rich, and had done too much to simply stop. He entered this new phase of his life with a slipping sense of purpose, and no amount of good intentions could erase the blood on his hands. "Fly,” one of the series&apos; best episodes, has a memorable scene where Walter is searching for the perfect moment to die. Guilt ate at him like termites devouring a plank of wood; he had reached a place of no return, a place where the thought of death no longer filled him with dread, but with comfort. “I’m saying that I lived too long. You want them to actually miss you,” Walt told Jesse, a powerful sentiment from a fragile mind breaking down under the weight of remorse. He had lived out his dream too far—the drugs that were meant to be his savior slowly became his executioner. I imagine Walter’s dilemma is relatable, especially when seen from the perspective of an artist who is facing feelings of being in the game too long. Instead of death, though, it&apos;s the search for the perfect moment to retire. Artists want to go out on top, saying goodbye while fans&apos; eyes are full of admiration and mouths only speak words of praise. It’s a common occurrence to hear artists muse on the fickle industry, and how it wasn’t the game they imagined during their humble beginnings. Imagine going from rags to riches, but losing the very motivation that encouraged the passion. Death is the goodbye that most will not choose, but retirement is the formal farewell you’re allowed to make. Let&apos;s take a look at a few greats, pick the absolute perfect moment for them to retire, and wonder how things might be different. I never asked why Jay Z retired. Part of me assumed there was a desire to take a break, to play golf and drink cappuccinos in paradise. He had made it from the Marcy blocks and soared to the rap mountaintop with enough accomplishments to make Elvis envious. I’m pretty sure he felt there were no more stairs to climb, fading to black was a natural decision. But he couldn’t stay away, just like Jordan; both retired as top talents in their respective fields, and both came back. The second coming of Jordan began with three more rings, but, eventually, time did to Michael what it will do to all men, taking away the youth that allowed him to be such an explosive master of the game. There was a lack of youth on Kingdom Come, the comeback album of one of rap’s greatest wordsmiths who had previously left the world with a classic (The Black Album) as a parting gift. He went from being Jordan—a God-tier ballplayer—to the mortal who was crossed over by Allen Iverson. Jordan’s broken ankles and Jay’s grown man rap album are blemishes that wouldn’t exist if they stayed away for good. In Jay’s defense, he came back stronger with American Gangster. It was the perfect reminder that Jay still had it, just like when Jordan scored 51 against the Charlotte Hornets while donning a Washington Wizards uniform. Watch The Throne is an ode to the elevation of two men reaching the status of rap kings. The album may not be the greatest display of their gifts, but the super-solid offering became an event much bigger than the music. WTT achieved the kind of success artists dream of—a record-breaking tour, a single that dominates the planet, universal regard as greats. Jay and Kanye seemed to enjoy making the music, they found fun in the creation, back-to-back like Michael and Scottie except they were both Michael. There was no music moment bigger in 2011, which would have made the album a perfect send-off. They reached the pinnacle of rap success, and there&apos;s no better time to shift focus to other endeavors. 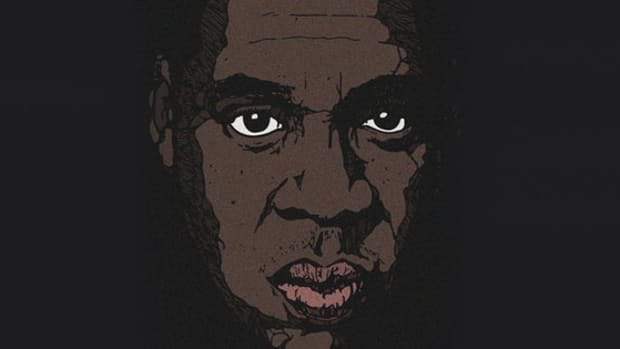 Jay had Roc Nation, a label that was gearing up for J. Cole&apos;s debut release. With a successor to take the throne, Jay could&apos;ve easily settled down to build his empire. The world wouldn’t miss Magna Carta Holy Grail, it could disappear without a trace and no one would put the album cover on a milk carton. 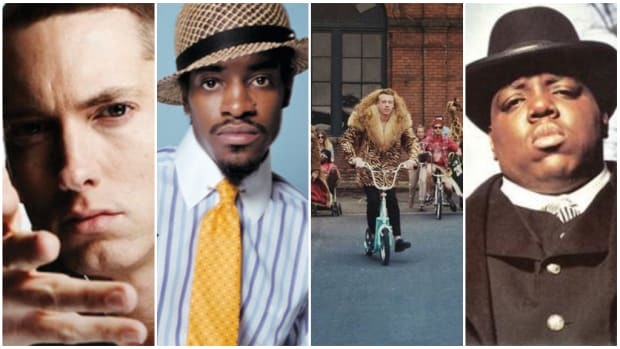 Departing with WTT would remove a few magic moments from Jay&apos;s catalog, but the classics would have made up for all the music that wouldn&apos;t exist. 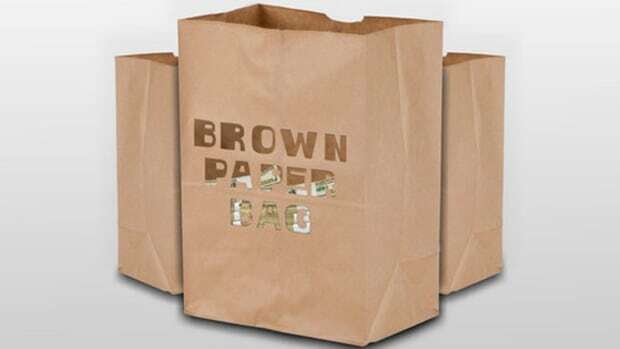 Imagine if, along with Jay&apos;s retirement, Kanye also announced his pink slip from rap&apos;s assembly line. If the purpose is to pick the perfect moment for Kanye&apos;s end, Watch The Throne is golden. This is before Yeezus, but after My Beautiful Dark Twisted Fantasy—Kanye was still universally beloved. If MBDTF is his last solo album, he left behind a masterpiece. I would miss the mountain stage more than Yeezus the album, I would miss “Ultralight Beam” more than The Life of Pablo, but to bring his rap career to a close before his last two albums would likely impact Kanye&apos;s focus. By Yeezus, the fashion industry had his eye, but they wouldn&apos;t accept him, so Ye lashed out through a medium where he was already embraced. What if all the anger and angst that filled Yeezus was used to create outside of music? If he could dream up a mountain for Jesus to stand upon for his tour, imagine what kind of stage designs he could have created for other artists through Donda? There’s so much Kanye could contribute to music in a different creative role. People will always crave Kanye the rapper, but Kanye the post-rapping creative director or executive producer would be game-changing. Without music, he could put all his energy into Donda, G.O.O.D. Music, Adidas, and being a husband and father. I would admittedly miss Cruel Summer―"Mercy," "Cold," "New God Flow," "Clique" and the "Don&apos;t Like" remix all have a special place in my heart. There&apos;s just something oddly great about the idea of both Ye and Jay leaving the game after their final Throne show. Lupe announced his final album before the end of his sophomore LP. He knew exactly how he wanted to bow out, and I’ve always wished that Lupe had the chance to control his career the way he wanted. For a moment, he believed a final, three-disc album would be his final contribution to hip-hop as an emcee. This was coming off a successful debut, and an acclaimed follow-up. Food & Liquor was like a college athlete entering the league and winning a championship in the first year. The Cool was a repeat performance, another ring on his young fingers. To three-peat with L.U.P.End would be the 2000-2002 Lakers level of excellence. Sadly, instead of getting another ring, Lupe’s third offering, Lasers, was more like a celebrated talent blowing out his knee in the preseason. This is quite similar to fellow Chicagoan Derrick Rose, a promising draft pick who won an MVP but whose full potential was shattered by injuries. What affected Lupe wasn’t a broken bone, but a broken system that puts commercial success over artistic integrity. It changed him, something deep inside was affected by the chains of his contract. Lupe’s legacy would be much different if he bowed out after his first two classics, celebrated more for his genius lyricism than all the controversy that would come later in his career. I believe his constant talk of retirement is rooted in the same mental space as Walter, a feeling of lasting much longer than he expected and coming too far to stop. He hasn’t fallen off, though. One listen to Tetsuo & Youth will prove that Lupe the Jedi still has an unrivaled way with words. If Jay Z is Jordan, and Lupe is D. Rose, then Lil Wayne would have to be Kobe. My interest in the NBA peaked when Kobe was drafted into the league—a star in the making. To watch him play was poetry in motion; he moved like an assassin who slammed baskets instead of closing caskets. In his prime, Wayne was the same way. 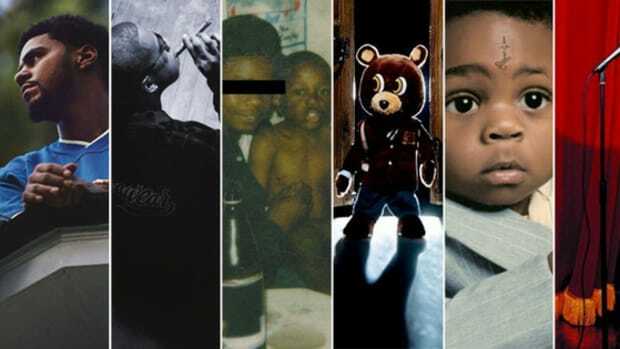 He came in rap at a young age and grew more deadly as the years went by. Kobe was such a deadly force on the court he was only comparable only to a poisonous snake, and Wayne was such a strange phenomenon he could only be classified as a martian. 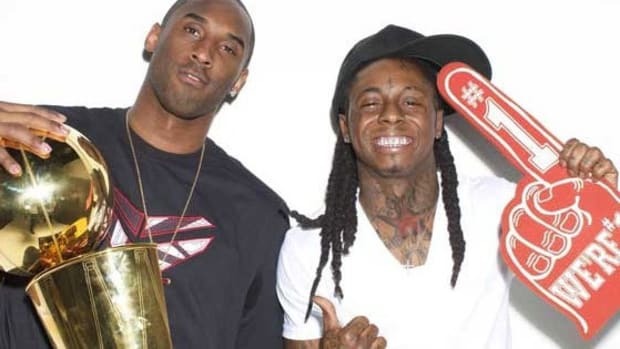 Both Kobe and Wayne continued to go beyond their limits. Even when Kobe was just a shell of his former self it was hard to look away, as if a miracle would occur. That’s how it feels to be a Wayne fan at times, still tuning in with hopes that he puts up a 60-point performance. 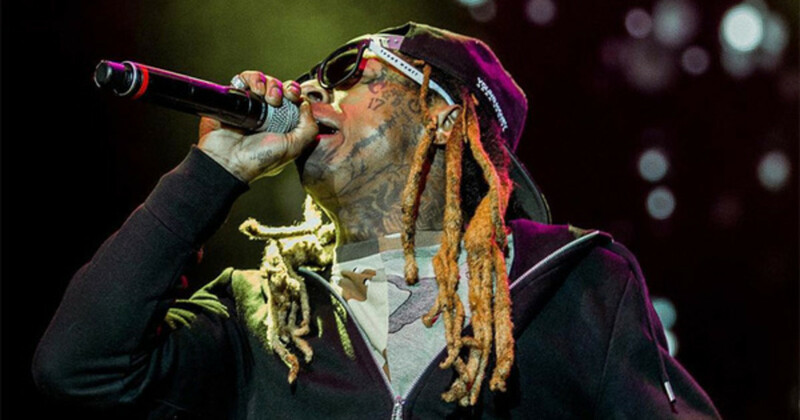 Kobe bowed out a few seasons later than he should have, and while there’s still hope for Wayne to reclaim the fire, a retirement preceding Tha Carter IV would have been a great place to lay his mic to rest. It was a successful release, not his best album, but some artists aren&apos;t even relevant come their ninth studio project. He was still a celebrated emcee, still one of the frontrunners in the mainstream, and a few years shy of a string of lackluster mixtapes and a custody war with Cash Money. He gave his life to rap and should have stopped before rap made him feel like a prisoner. After spending eight months in Rikers, the last thing Wayne needed was the strain of handcuffs in the field in which he felt the freest. If you can time your retirement at the height of your dominance, then it’s saying goodbye from the top of the mountain. I look at both Jeezy and Rick Ross as two stars who could have escaped after their big booms. Jeezy went on a hell of a streak when he first entered the game. The hustler-turned-rapper was more of a trap star than a rap star, but he had enough charisma to make his Thug Motivation and Trap Or Die series lock and seal the streets. He arrived at the end of crunk, but at the growing desire for authentic street anthems. Year after year Jeezy delivered without fail. Three years separated the releases of The Recession and Thug Motivation 103: Hustlerz Ambition. A three-year gap was enough time for new artists to enter the space Jeezy once dominated. I love the third Thug Motivation album, but Jeezy leaving the game with “My President” after Barack was elected would’ve been epic. There are a few classics that would be missed, but Jeezy’s catalog is without any flaws if he calls it quits after the first three LPs. Around the time when Jeezy dropped the "Young," he could&apos;ve simply dropped rap as a whole. The Snowman had escaped the streets, he became a symbol of the hustler&apos;s ambition, and that is enough to be saluted for the rest of his life. Rick Ross didn’t come into the game with a classic album, but he had street anthems that people couldn’t get enough of. Ross had the persona, the charisma, and an excellent ear for beats that made every project enjoyable. He truly came into his own with Teflon Don, his fourth studio album. Surviving a beef with 50 Cent is no easy feat, but the way Ross was able to not be completely squashed by his past as a corrections officer is even more amazing. He beat the odds and released his best project, which was acclaimed across the boards. If Ross ends his rap career with 2012&apos;s God Forgives, I Don’t, he would be solidified in rap’s history books. It can be debated whether Ross has any classics, but it&apos;s best to think of his career like Barry Sanders. Barry never won a Super Bowl, but he was such a tremendous running back that his highlights will be played for years to come. Ross has the kind of career that will be remembered for its extraordinary highs—a reel of highlights that can expand over five albums. 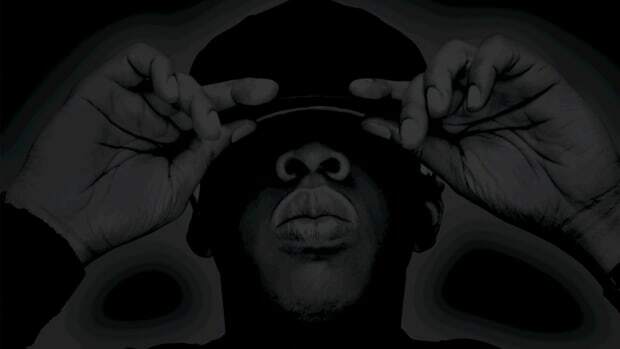 Bowing out with God Forgives, I Don’t is peak "biggest boss of rap," a position no one could ever take from him. Eminem found success in a persona that won over fans with wordplay, lyricism and shock value. He found the thin line between offensive and fun, between horrorcore and hilarity, between elite lyricism and exceptional storytelling. Only he could strangle his wife to death on one song and bury her on the beach with his daughter on another. He turned his life into inspiration; his material was spawned by what he felt and experienced. The problem was that he became too successful, and the experiences he could draw from drastically changed. Encore had some highlights, but way too many low points to warrant a positive step in Em&apos;s career. His jokes had become played out and predictable. Relapse and Recovery are both necessary in their representation of Eminem trying to find his footing in rap again. He had a lot to get off his chest, demons that needed to be confronted, and through the darkness, it brought an end to a chapter full of angst and addiction. There was very little left for him to say after Recovery, but he continued to rap, constantly trying to top his prior penmanship. While I can appreciate his technical skills and the passion he has for the art of rhyming, it’s rare when I can connect with an Em song these days. Stepping away from the pen and giving full attention to his label would have been the ideal move in my book. But Em has always been a better rapper than label head, and would probably lose a hand before dropping his pen. As humans, we never know how long our lives will be, but we hope to succeed more than we fail, love more than we destroy, and live to the fullest rather than leading a life full of regret. In the entertainment industry, everyone hopes for a long, prosperous career. But through that process, it&apos;s easy to forget what got you started, jaded by all that comes when you reach a new plateau. Walter White lived too long, his dream became a nightmare because he couldn&apos;t stop what his fear of death started. He lost his way, and I&apos;m sure many artists do the same. 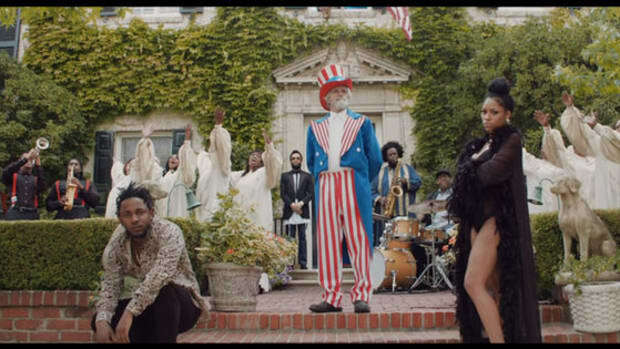 Fade to Black: Why Can't Rappers Actually Retire? 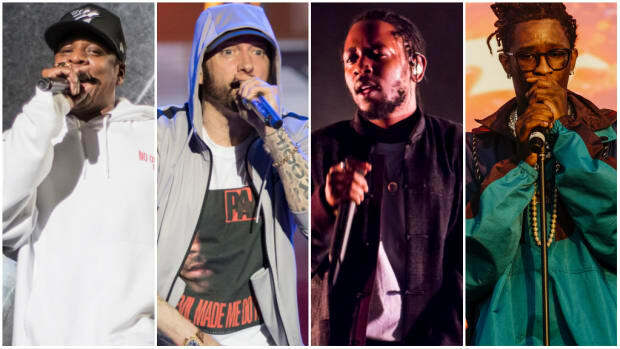 From JAY-Z to Hopsin, Lupe Fiasco to Kid Cudi, rappers constantly claim they've retired, but almost none of them actually do. Nothing is more important than the mula, except for maybe the item that holds the mula.